We fell in love with Istria way before MSTF, making it a dream location for our tango festival. We know countless hours spent dancing can make it hard to wake up the next day, even for the boat trip party-fest. Therefore, alongside it, this year we are offering you a calm alternative: an Arts & Wine road trip! 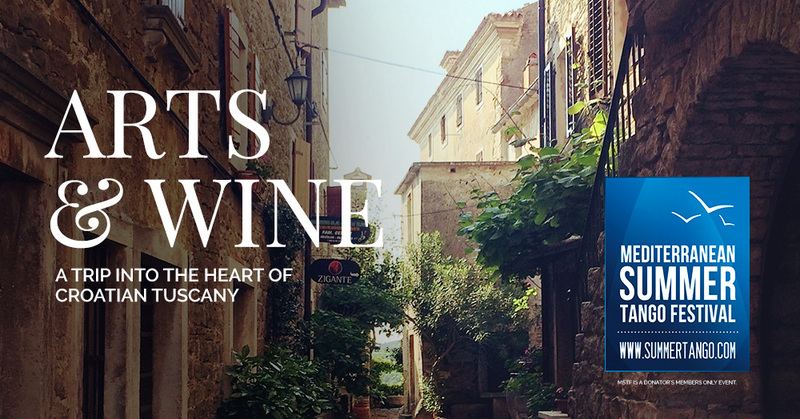 Istria is sometimes referred to as the “Croatian Tuscany”, with its picturesque hilltop towns, beautiful vineyards and delicious truffles. We will visit the most artistic town in Croatia, Grožnjan (Grisignana), an artists’ colony with only 185 permanent inhabitants! Every summer, it turns into a visual arts and music metropolis, hosting several jazz festivals and 28 art galleries! If you’d be intersted in joining us at this wonderful road-trip in Poreč, let us know by filling up the details in this short registration form. We’ll get back at you with details when the festival draws closer. Check some nice photos of the locations you’ll be visiting in the event discussion.